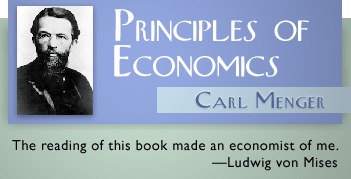 In order to understand this post, one has to grasp first the previous two lessons taken from Carl Menger’s Principles of Economics. The laws governing goods-character explain about the dependence of goods-character of higher order of goods on command of complementary goods and on corresponding goods of lower order. The first law explains the fourth prerequisite (command of the thing sufficient to direct it to satisfy a human need) and the second law elaborates more the meaning of the first prerequisite (satisfaction of human need) for a thing to be qualified as real good. Let us first deal with the first law that concerns the two bullet points above. In explaining the impact of the unavailability of higher order of goods on the goods-character of related goods, Carl Menger identifies other interesting subjects such as unemployment and the distinction between backward and highly developed economies. The subject of unemployment was mentioned when Menger cited the history of 1862 American Civil War. Due to war, the source of cotton in Europe was lost. Such lost resulted to the loss of goods-character of other related goods particularly labor services. Due to the unavailability of cotton, the services of laborers lose their goods-character resulting to the loss of jobs related to cotton industry. In this case, human need for cotton remains, but the command over higher goods was lost due to the absence of the source material. The discussion on labor services is related to the distinction between backward and highly developed economies. Backward economy is characterized by dependence on one dominant crop and usually on one type of workers. Once the harvest season of that dominant crop is done, a shortage of labor services often occurs. And this is due to two reasons: few workers are motivated to work hard in time of abundance and harvest season of a single crop is confined into a very short period of time. In case this shortage of labor services persists where their demand is higher in an economy experiencing abundant harvest, the crops will lose their goods-character due to the absence of sufficient number of workers (whose services are also qualified as complementary goods). In the case of highly developed economy where there are diverse products, complementary goods are in the hands of different types of workers. 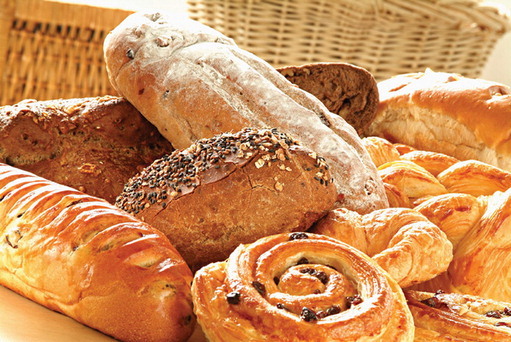 Usually, dependence on complementary goods is unappreciated unless a breakdown in the system will take place. Only then that people would realize the importance of command over complementary goods to retain the goods-character of higher order of goods. The second law speaks about the dependence of the goods-character of higher order of goods on corresponding goods of lower order. Since goods of lower order is closer in terms of proximity of distance to satisfy a human need, the loss of such need will obviously affect the goods-character of goods of lower order. This cannot be said in the case of higher order of goods as long as other human needs still exist. This law only holds true in the case of higher order of goods if all the corresponding human needs also disappeared. Menger gave two examples to clarify this law: quinine and tobacco. I just want to mention only his quinine example. He states that quinine ceases to be real good if the diseases it aims to cure disappear. The disappearance of the goods-character of quinine would immediately affect the goods-character of other higher order of goods. Menger makes it clearer. The second law elaborates more the meaning of the first prerequisite, the satisfaction of human need for a thing to be qualified as real good. It has been established so far that the existence of a human need in relation to particular goods makes these goods real goods. Furthermore, it has also been explained that the existence of this qualification does not depend on the proximity of distance to satisfy a human need. The important thing is to understand the causal connection between goods and the relationship of higher order of goods to lower order of goods in meeting a human need.